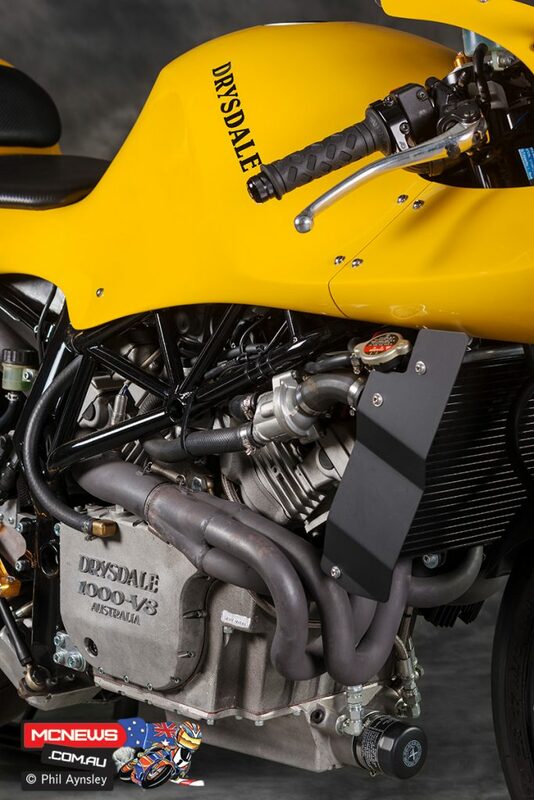 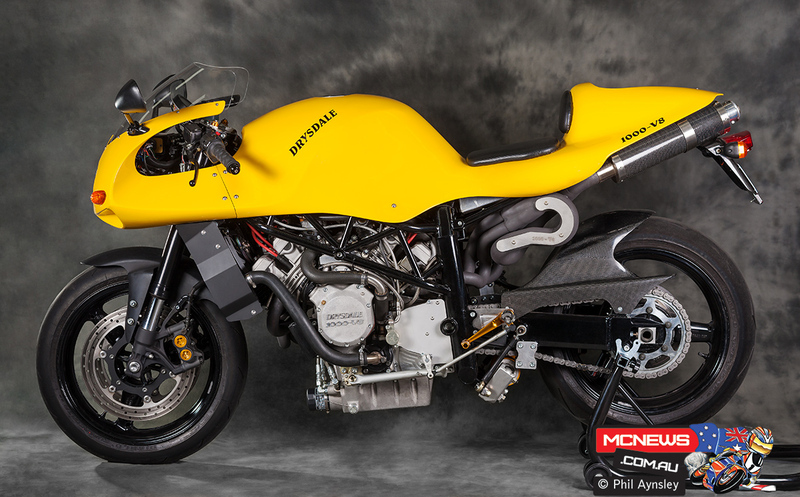 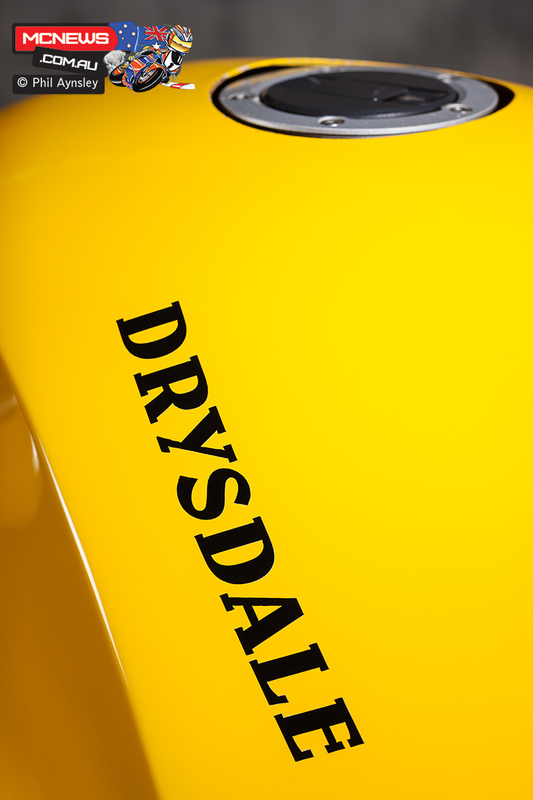 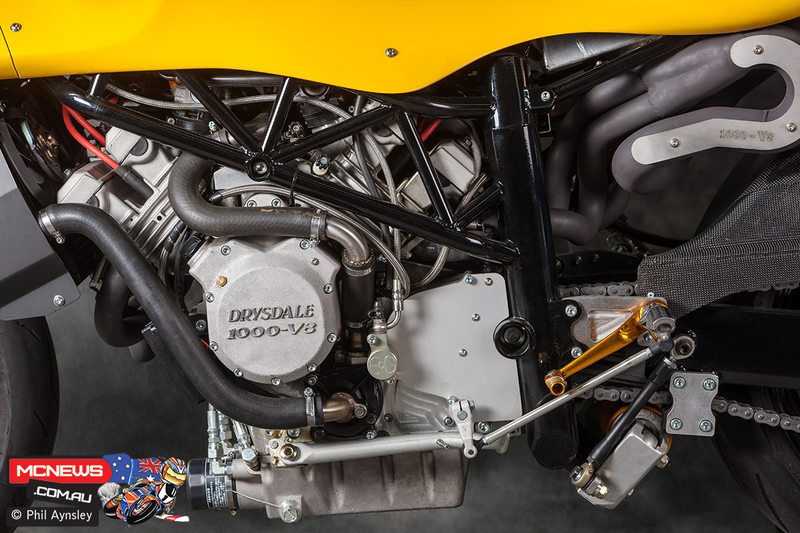 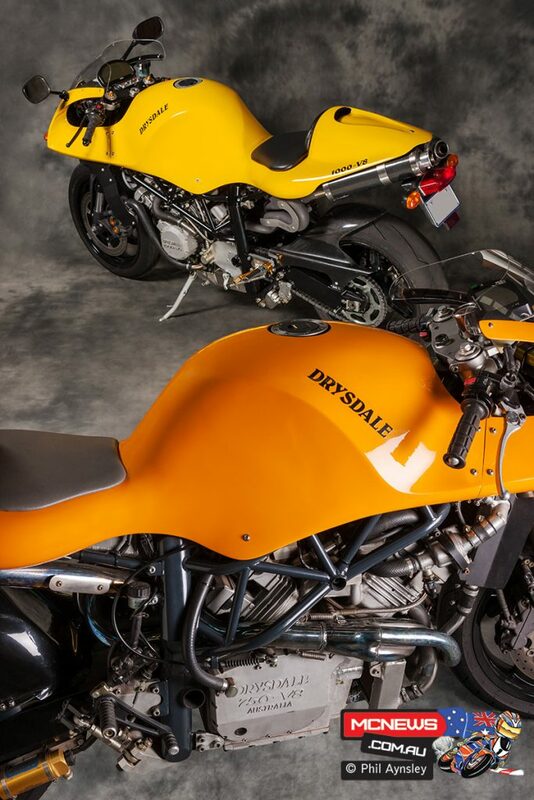 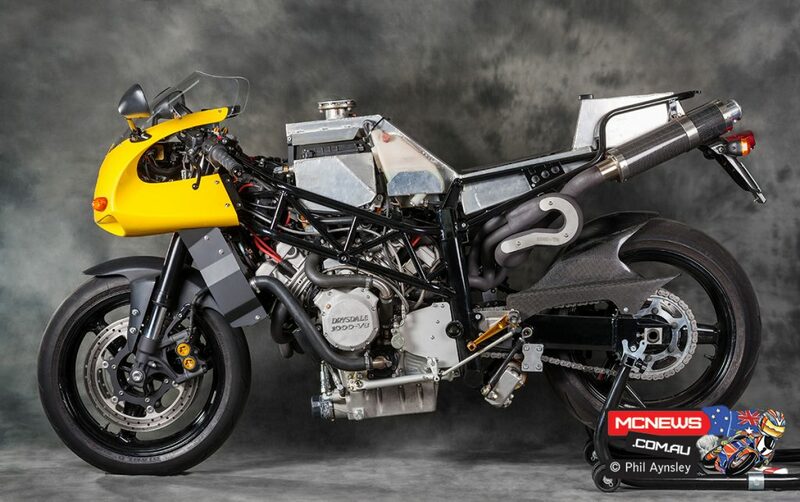 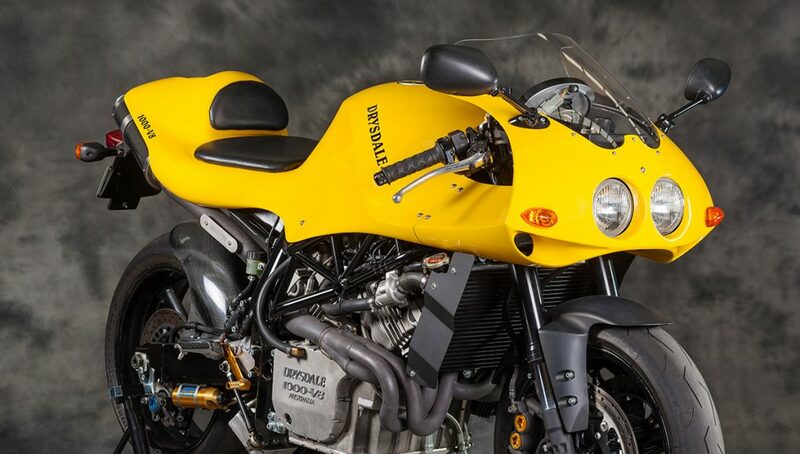 Ian Drysdale has a history of designing intriguing motorcycles (and other engineering intensive machinery), most notably the 1990 Dryvtek 2x2x2 – a two wheel drive, two wheel steered off-road bike. 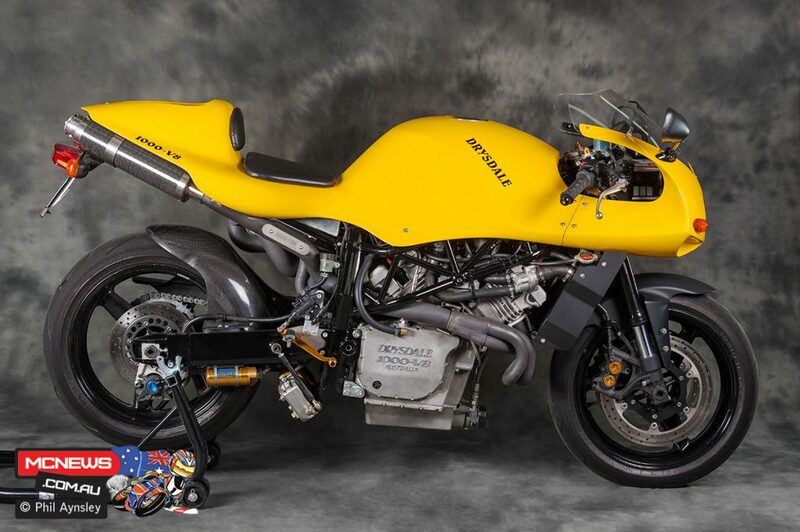 In 1995 he built his first V8, a 750cc design, then followed that up four years later with the 1000cc version seen here. 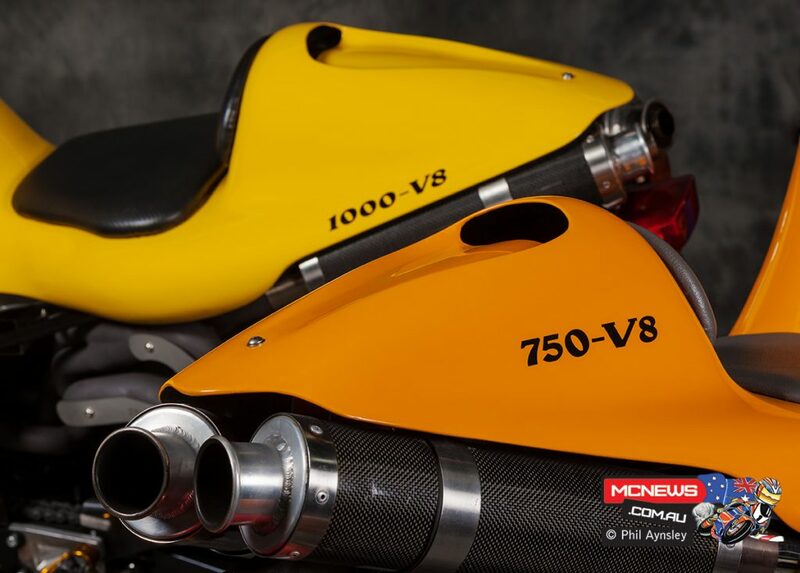 The main design concept was to provide a practical exotic that could be easily maintained – hence the use of many parts from existing production models. 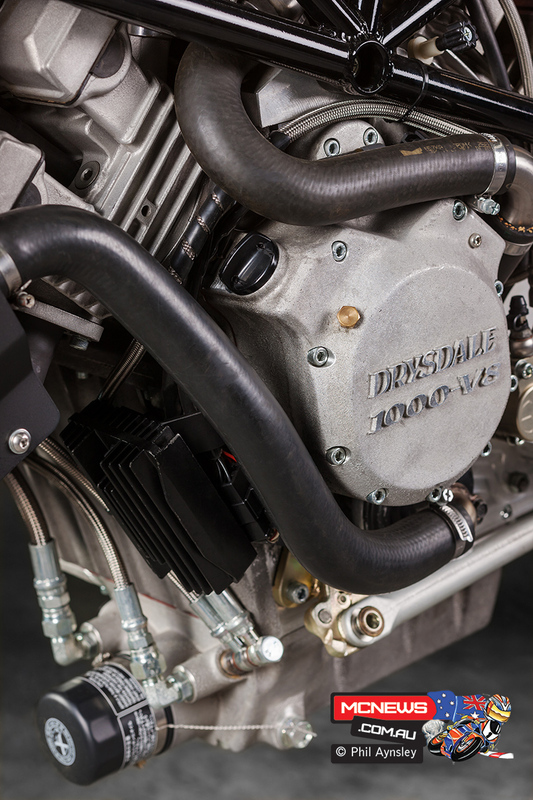 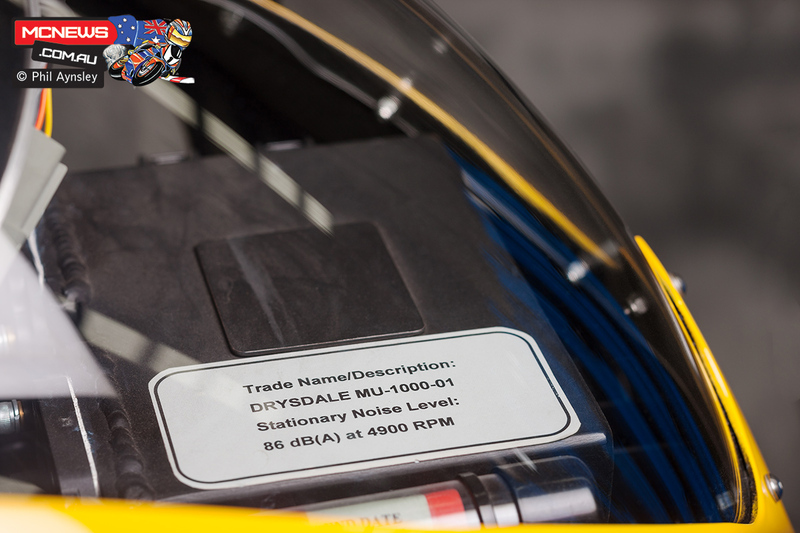 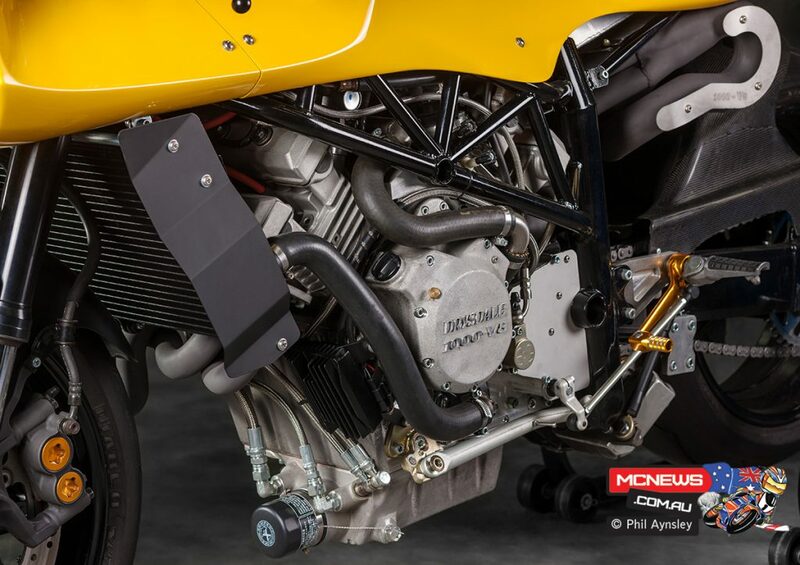 The crankcases and 180º flat-plane crankshaft are the main custom-built engine components. 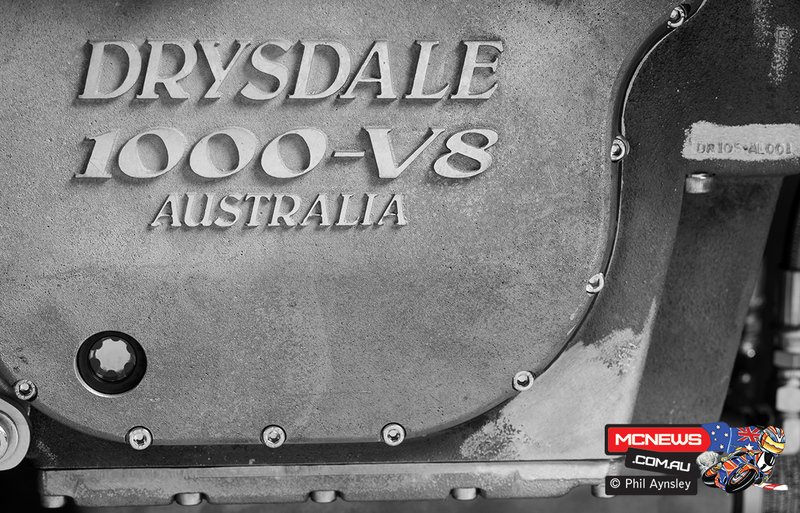 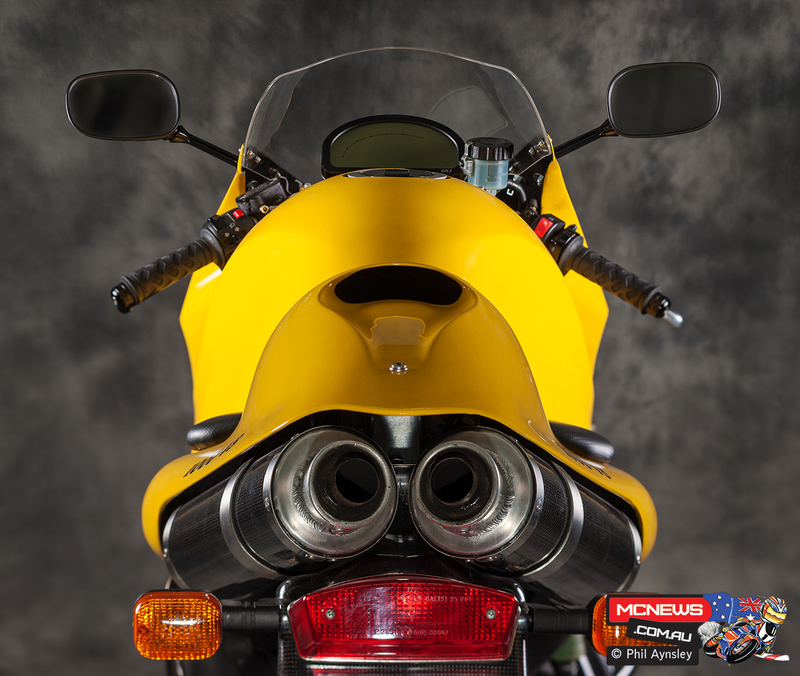 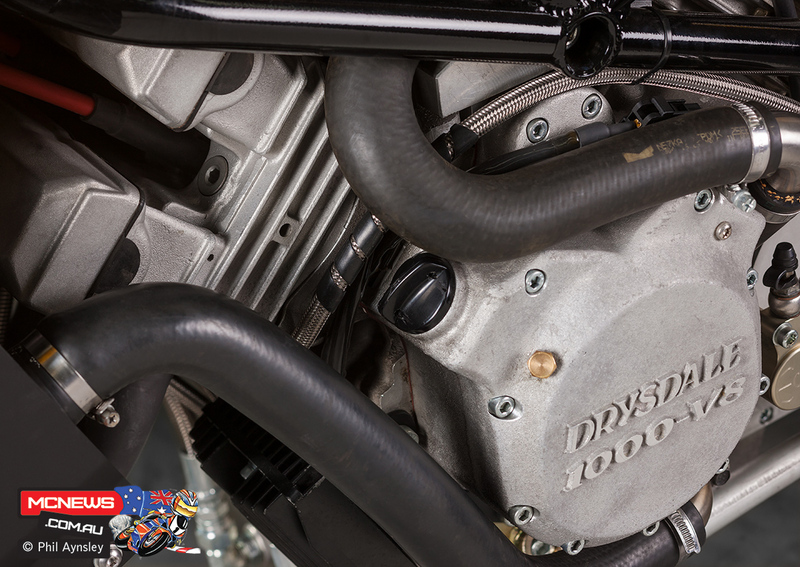 While outwardly similar to the 750, the 1000 has many changes compared to the earlier bike. 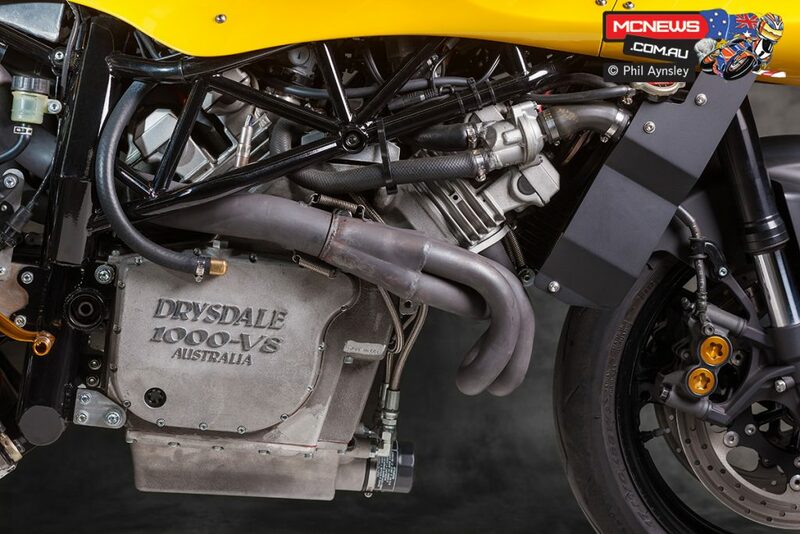 Larger bore and stroke (with barrels and heads based on the Yamaha YZF600 rather than the YZF400), eight 39mm Keihen throttle bodies (rather than modified Bings), upgraded MoTeC electronics, revised rear suspension (custom Ohlins shock with cross-frame bellcrank), single radiator and a new exhaust system being among them. 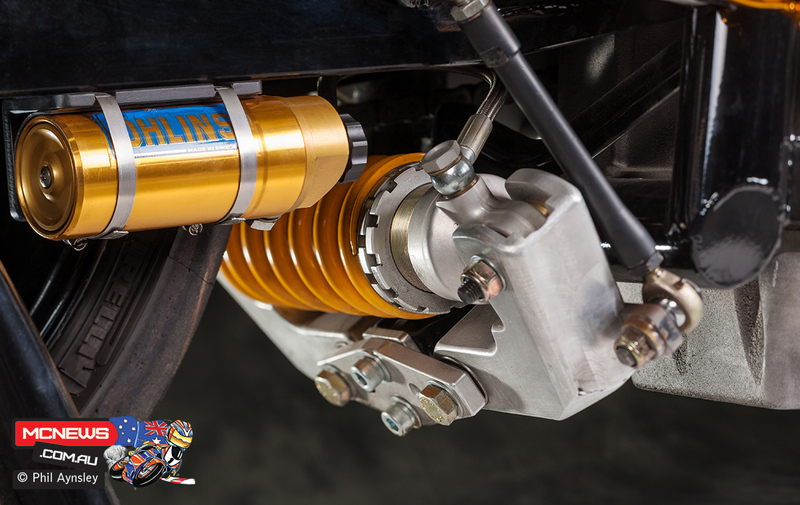 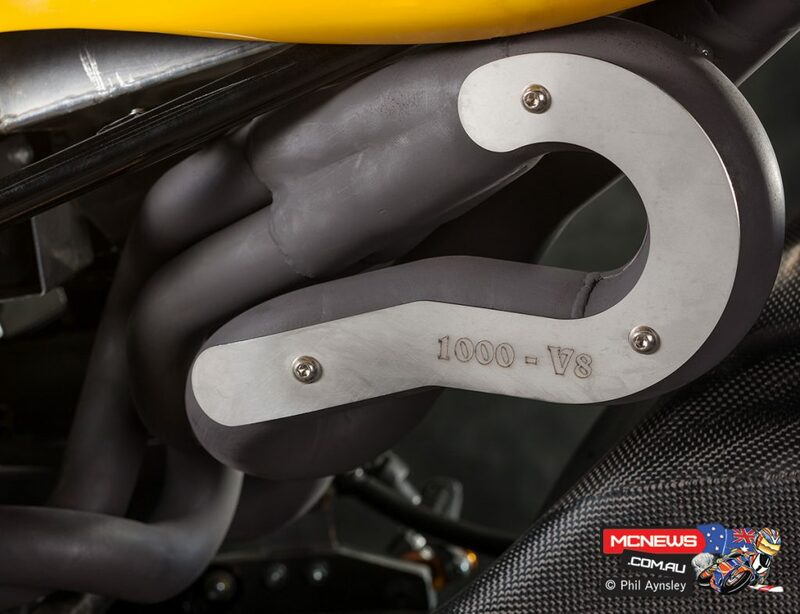 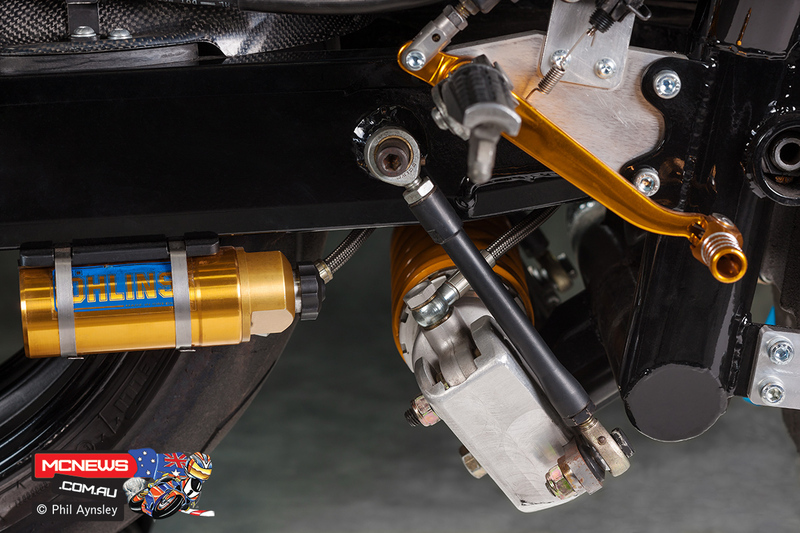 The clutch and gearbox are modified Yamaha YZF1000 items, while the front suspension is from a Yamaha R1. 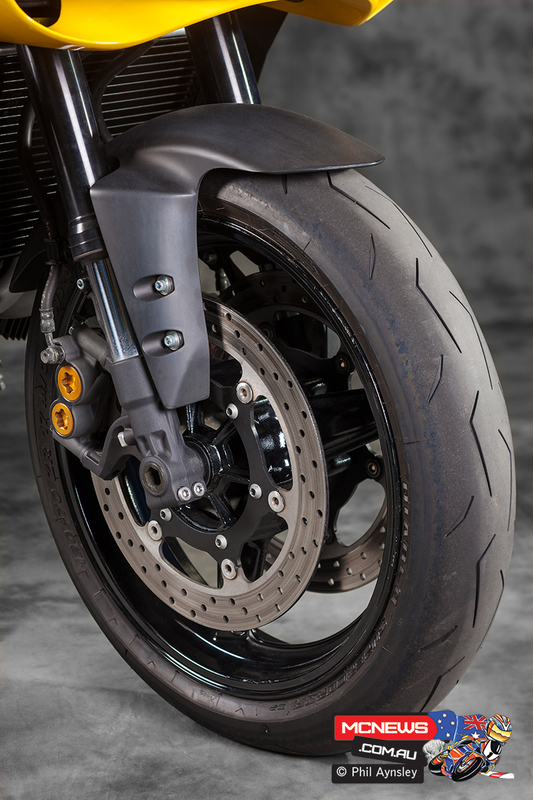 Wheelbase is 1415mm. 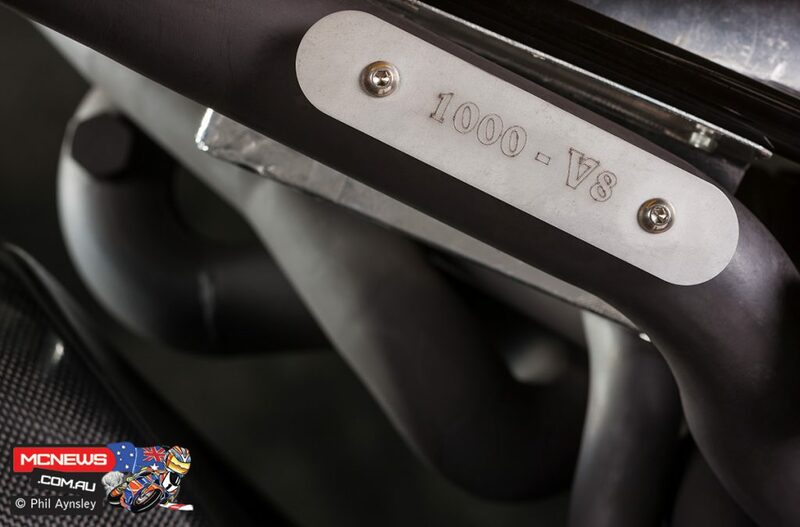 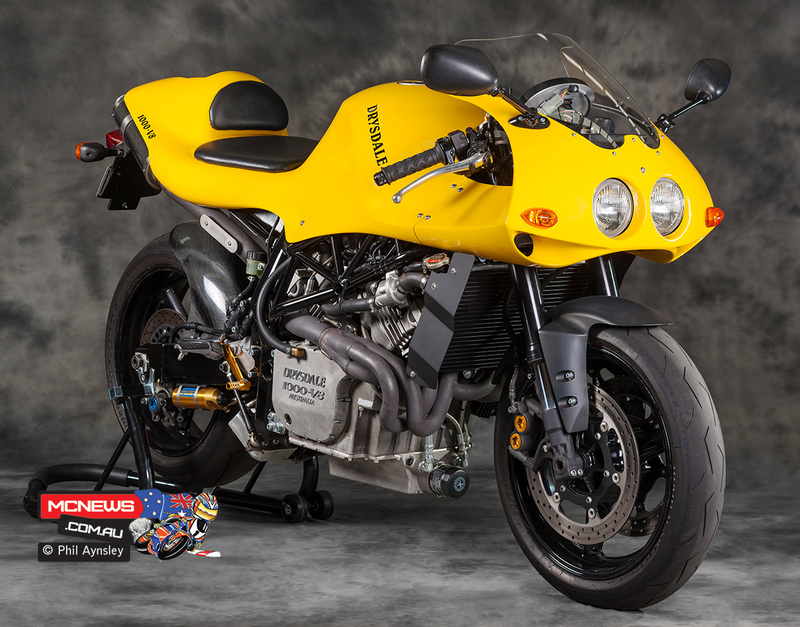 To date four 1000cc bikes have been built (one in naked bike form) with the price being approximately US$100,000 depending on customer requirements. Power is 154hp at 12,200rpm. 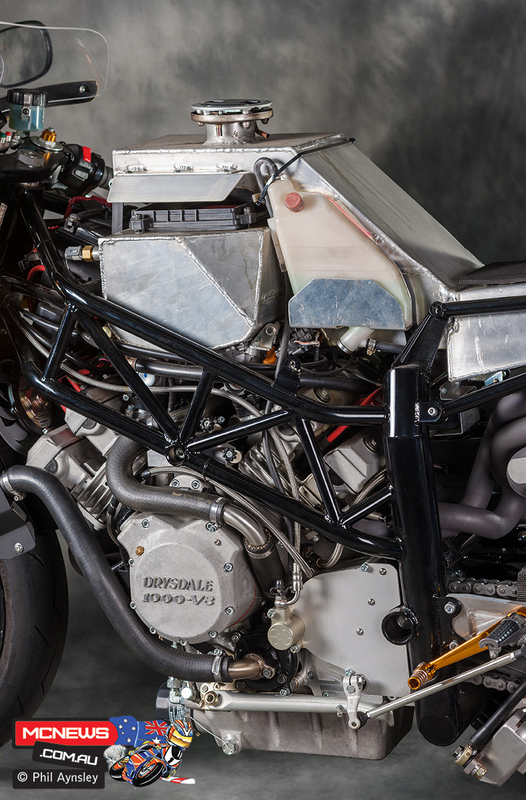 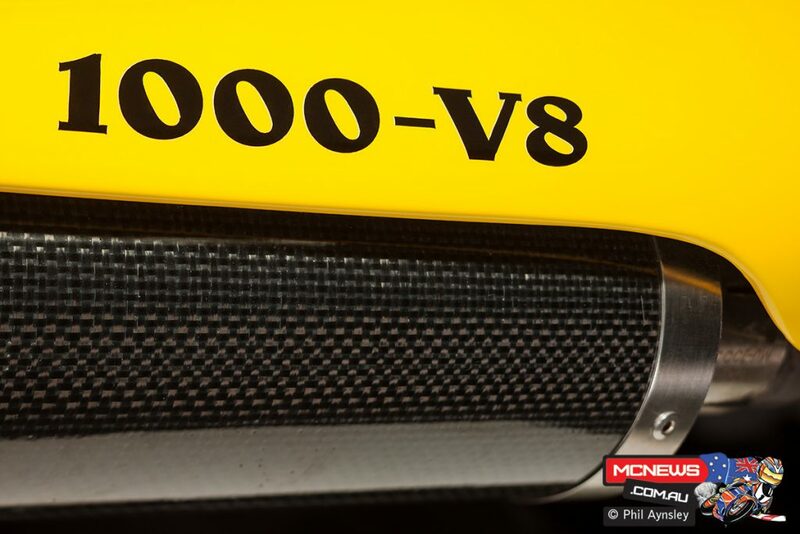 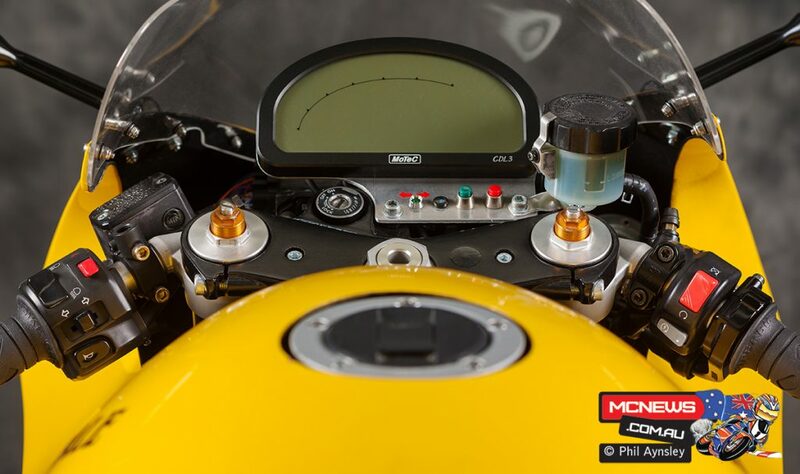 Weight (oil, no fuel) is 210kg, with a top speed of 270km/h.